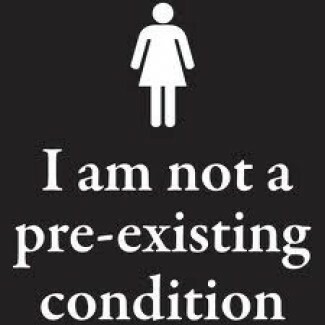 Have you heard the expression “Being a woman is not a Preexisting Condition”? If you haven’t, or haven’t completely understood what this meant I’ll break it down for, as well as show how the Healthcare Exchange has addressed these issues when addressing the new metal plans: Bronze Plan, Silver Plan, Gold Plan, and Platinum Plan. • Women are more likely to use prescription medication, suffer from chronic disease, and anxiety and depression than men. • Women have dependent coverage more often than men, therefore put them in vulnerable positions regarding divorce or losing a job. • Women tend to have higher out-of-pocket medical expenses than men. Plans now offer federal premium subsidies to help with your monthly premium cost: For example, If you have dependent children and make up to $78,120 you and your family may be eligible for subsidies. If you have specific questions about your state and how the Healthcare Exchange works for you call 800-930-7956 or contact FinancialRx. Now that our parents are becoming seniors we want to make sure that they are financially secure. This is the list of key points about Medigap and how to help guide our parents. HSAs have a bit of an image problem, but they can actually be an excellent way to get great health insurance, save money for the future, and take control of your own health care spending. Here’s what they are and how they work. Finding insurance doesn’t have to be a dreaded chore. Check out our FinancialRx guide for some helpful tips to make the task faster and easier. Shopping for dental insurance? Here’s a straightforward set of definitions for some key terms you’ll need to know. Are you laid off, self employed or otherwise on your own when it comes to finding health insurance? We can help. Here are 5 straightforward tips to point you in the right direction. You’ve left your job and you’re trying to decide whether or not to elect COBRA health insurance. Here’s a common sense guide written in plain English, with a fun little video to boot!